What funnels for network marketing do you need? Have you wondered what is a funnel? Maybe you've heard the term flying around and not quite sure what it is or whether you need to make one! This is a 2 part training where I break down 2 very simple yet highly effective funnels that Network Marketers and Affiliate Marketers should create to make making sales and prospecting easier. Plus adding some automation into your business so help you save time. Watch the full training in the video below where you'll learn how the funnel works and each step needed and what it's for. Click here for Part 2 for the second super easy & simple funnel Network Marketers should create to make recruiting & selling your products easier. 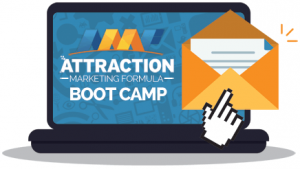 Attraction Marketing Formula - A great blueprint on how to brand yourself and attract an endless flow of prospects to you to grow your downline without rejection. Provides in dept guidance on creating pages, funnels and how to position yourself as an expert. PLUS you get access to your own Blog which comes with templates to create your own funnels. Elite Marketing Pro - As well as get mentoring and training on creating systems for your business, you also get access to your own Blog to brand yourself and have a lead generating system. Plus access to lots of templates to create pages like I mentioned. Thrive Themes - A great theme to have on your blog that has a lot of templates to help you create your capture pages and all the pieces of the funnel. This is what I personally use and it's very simple to use.